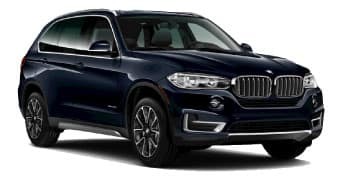 SWITCH TO BMW AND SAVE! 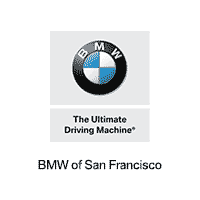 BMW of San Francisco will make the final payments on your current vehicle for you, when you trade in and purchase a new BMW from us! 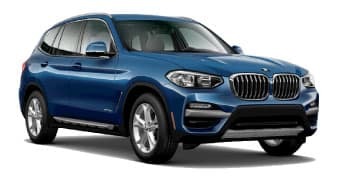 * See below for our current trade-in offers on each of these new BMW models. 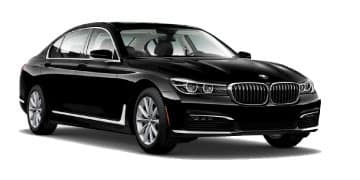 *QUALIFIED CUSTOMERS MUST LEASE OR FINANCE A MY2017 OR MY2018 BMW 5 SERIES, 7 SERIES, X5 & X6 THROUGH BMW FINANCIAL SERVICES NA, LLC BY NO LATER THAN APRIL 2, 2018. LEASE AND FINANCE CONTRACTS ARE SUBJECT TO CREDIT APPROVAL; NOT ALL CUSTOMERS WILL QUALIFY. 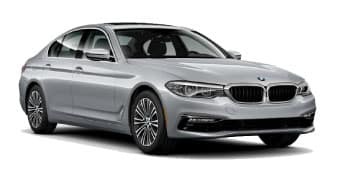 OFFER APPLIES TO NO MORE THAN THE SCHEDULED MONTHLY PAYMENT(S), STATED ABOVE, THAT HAVE NOT BEEN PAID ON THE EXISTING CONTRACT AND MAY NOT BE USED TO PAY OFF AN EXISTING BMW LEASE OR RETAIL CONTRACT. SELLING DEALER IS RESPONSIBLE FOR MAKING REMAINING PAYMENT ON TRADED-IN VEHICLE. PLEASE BRING A COPY OF YOUR CURRENT COMPETITIVE LEASE OR FINANCE PAYMENT INVOICE SHOWING YOURACCOUNT NUMBER, PAYMENT AMOUNT AND CONTRACT END DATE. END OF TERMS CHARGES, INCLUDING BUT NOT LIMITED TO EXCESS WEAR AND TEAR, EXCESS MILEAGE, TAXES AND PAST-DUE PAYMENTS ARE THE RESPONSIBILITY OF THE ORIGINAL CUSTOMER. 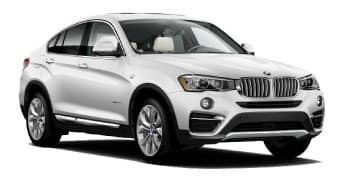 COMPETITIVE LEASE PAYMENT OFFER IS TRANSFERRABLE PENDING CREDIT REVIEW AND IS VALID THROUGH APRIL 2, 2018, AND MAY BE COMBINED WITH OTHER OFFERS UNLESS OTHERWISE STATED. OFFER IS TRANSFERABLE PENDING CREDIT APPROVAL, NONNEGOTIABLE AND NOT REDEEMABLE FOR CASH. SEE BMWSF FOR DETAILS. $1,000 CONQUEST ALLOWANCE PROGRAM: THIS $1,000 ALLOWANCE IS EXTENDED TO CURRENT OWNERS/LESSEES OF COMPETITIVE VEHICLES. THE ALLOWANCE IS NONNEGOTIABLE AND NOT REDEEMABLE FOR CASH. 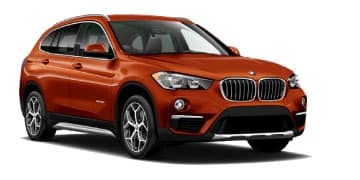 THE ALLOWANCE IS AVAILABLE ON THE PURCHASE, LEASE, OR FINANCE OF ANY NEW 2017 OR 2018 BMW X1, X2, X3 & X4 MODELS THROUGH BMW FINANCIAL SERVICES OR FOR CASH CUSTOMERS. LEASE AND FINANCE CONTRACTS ARE SUBJECT TO CREDIT APPROVAL; NOT ALL CUSTOMERS WILL QUALIFY. THE ALLOWANCE MAY BE COMBINED WITH OTHER OFFERS UNLESS OTHERWISE STATED. THE ALLOWANCE IS VALID AT PARTICIPATING BMW CENTERS TO ELIGIBLE, QUALIFIED CUSTOMERS. CREDIT AND ALLOWANCE ARE VALID THROUGH APRIL 2, 2018. 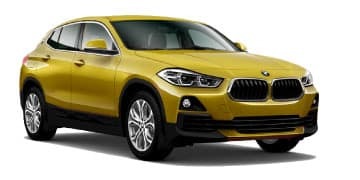 OFFER NOT VALID TO CURRENT BMW CUSTOMERS TRADING IN A BMW VEHICLE. SEE BMWSF FOR DETAILS. 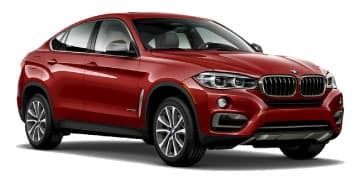 Must be current owner or lessee of non-BMW vehicle to qualify for conquest rebate.